¡Sergio Ramos levantando nuestra 12º Copa de Europa! ¡Vive con nosotros la celebración de la Duodécima en el Bernabéu! Who do toi think will win Uefa Champions League in 2016? How do toi think is Real Madrids best player ? salut guys, i'm going to watch Madrid VS Celtic in Philly (11 OUG '12) and i'm wondering in which hotel Madrid will stay in..! Real Madrid have built up a reputation for being one of the biggest clubs in the world of football/soccer, and for good reason. The Spanish side have won truckloads of trophies during their 113-year existence and they have seen some of the game's biggest stars represent their club in their iconic all white kit. Like any other Dynastie though, Los Galacticos have had to endure some tough spells, but then again, the challenge that they're faced with right now may just be their biggest hurdle ever. Assistant coach Aitor Karanka talked to the press about their match with Sporting Gijon. "These players deserve to be champions because of their hard work and the adversity they are overcoming. We cannot fail against Sporting. It will be a very important match with a lot at stake for us. Taking three points will be vital." Me parece que mucha gente se quedó impresionada con la calidad del fútbol demostrado por el Real Madrid en esta pretemporada, y sería para ellos una sorprendente noticia que yo abandonara el club ahora. ¡Imposible! Raúl González Blanco (born June 27, 1977), usually referred to simply as Raúl, is a spanish football player who currently plays for Schalke 04. `Jesús Gil (29/10/99): "Raúl is my bete noire". `Fabio Capello (15/11/99): "He is a winner. He is the inheritance of Real Madrid". `Javier Clemente (01/04/00): "Raúl is the best vers l'avant, vers l’avant in the world". 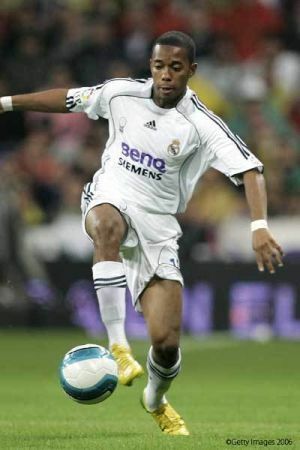 `Franz Beckenbauer (09/05/00): "Raúl is one of the best of Europe. He is Real Madrid's spirit. He is like Matthäus for us: indispensable, and with a bad haircut". ~The pride toi feel when toi see them play. ~The herbe stains on their white kits. ~When Iker makes an incredible save. ~When Iker yells at the other players. ~When Mourinho writes things in his blackbook full of secrets. ~Funny pictures of training sessions. ~When Mourinho is finally smiling. ~Mou's gestures during a game. ~January 9: When Kaka first scored after 6 months away. and par this, ramos proved that he is the official heir for raul in his way of celebrating yesterday after the end of the match . The front covers of the international sports press hailed Real Madrid's "historic" triumph against a Liverpool side devoid of luck. The Real Madrid captain spoke about Cristiano Ronaldo's commentaires after the Champions League victory that saw him win his fourth European Cup. a link a été ajouté: Ramos: "Cristiano will clarify his commentaires after the season"